The Downtown Sailing Center (DSC) is the place to enjoy sailing and meet people who love to sail without the expense of owning a boat. Members of the DSC hail from many backgrounds; the DSC is focused on making sailing fully inclusive and diverse. The membership options are inexpensive because of the sweat equity and community engagement members contribute. One of our membership levels, from Volunteer to Skipper, will certainly satisfy your need to sail and fit your schedule. All members, regardless of creed, background, ability, or membership level are equally important to the health of our organization. The price increases for "Skipper" and "Crew" as we move into summer; the price is cheap in the winter because our members clean and paint the boats and freshen up the sails and hardware each spring. Click here to learn more about our member opportunities. If you would like to find out more about what we do or try before you buy, check out our facilities and go for a short sail during our Open Houses. 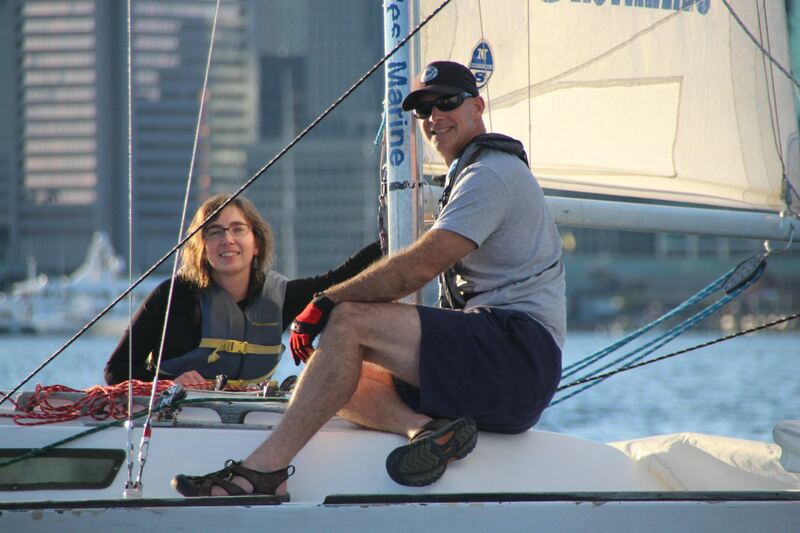 See what we do at the DSC and experience sailing on Baltimore's Inner Harbor firsthand! Due to high demand, registration is required. We need volunteer skippers and crew to take people sailing! If you are a DSC member, just click on an Open House event above to register as a skipper or crew (choose Registration Type of Crew or Skipper). If you volunteer, please be at the DSC one hour before the event starts to rig your boat.